VANCOUVER — Applying for permanent residency in Canada has produced some unexpected side effects for American Jonny Wakefield. Sometimes, a panic attack hits. He’s gripped his toilet bowl, paralyzed by the fear of leaving British Columbia, his home for seven years. Other times, he wakes up nauseous, consumed by the prospect of moving back to the United States. He’s started taking sleep pills to ease the anxiety. Dread sets in when his inbox pings with an email from his immigration consultant. An affidavit needs to be signed. Photos need updating. “It feels like you’re running up against walls constantly and just baring your soul through paperwork,” said Wakefield, who works in northeastern B.C. as a newspaper reporter. There may be many more like Wakefield in B.C. soon. After Donald Trump’s surprise victory, Canada has surfaced as a perceived haven for dismayed American voters. A deluge of traffic on election night crashed the Citizenship and Immigration Canada website. “I’m moving to Canada” became a popular refrain on social media. well, i'm moving to Canada tomorrow. i'll see you all in therapy???? If Trump wins, I'm moving to Canada. If Hillary wins, I'm moving to Canada. But Wakefield, who has spent months collecting the mountainous paperwork needed for permanent residency, is irked by the American flippancy toward Canada’s strict immigration laws. “I don’t think they understand the process or the anguish that’s involved,” he said. In reality, immigrating to Canada is a labyrinthine process that involves grueling delays, an opaque point system and thousands of dollars in fees. Wakefield, 26, moved to Vancouver from Washington in 2009 to study at the University of British Columbia. In 2013, he snagged a post-graduate work permit, good for three years, and landed a reporting job in Dawson Creek, B.C. Now Wakefield’s time in Canada is almost up — and Trump’s victory has raised the stakes. He’s about a month away from getting his permit, he said, but there are never any guarantees. Since Trump’s ascendancy, Vancouver-based immigration later David Aujla has been fielding calls from similarly panicked Americans. “In over 40 years of practice, I’ve never seen a phenomenon like this,” he said. Aujla expects a major spike in American applications, especially among professionals working in fields such as medicine, technology and engineering that benefit from expedited entry under NAFTA. Canada already received 7,934 American applications for temporary residency from January to June 2016, according to the Government of Canada. Most Americans, however, will enter the process blindly. Canada’s open border and similarities in culture to the U.S. tend to mislead Americans, Aujla said. “A few years ago, I had a woman who was at the border with a moving truck and she couldn’t believe she wasn’t allowed to move into Canada,” he said. Vancouver is already an American hotbed. The U.S. Federal Voting Assistance Program estimates that 183,555 eligible voters live in Vancouver, making it the most popular city for Americans outside the U.S. The best positioned are applicants aged 20 to 29 who come to study in Canada, Aujla said. Those prospects bode well for Jeff Aschkinasi. The 23-year-old left Denver, Colo., in 2011 to study at UBC and “fell in love” with Vancouver. “When the election happened, it was that feeling of, ‘Oh, I’m actually pretty content.’ I have no desire to move now,” he said. To get his post-grad work permit, Aschkinasi drove to the U.S. border with his official UBC letter certifying that he has completed his degree. But securing permanent residency without a consultant has forced him to muddle his way through complex paperwork and do-it-yourself websites. At UBC, more than 12,000 international students, including 1,200-plus Americans, rely on five full-time immigration consultants on campus. David Chi, an immigration consultant at UBC, said he anticipates an increase in applications to Canadian universities following the U.S. election. 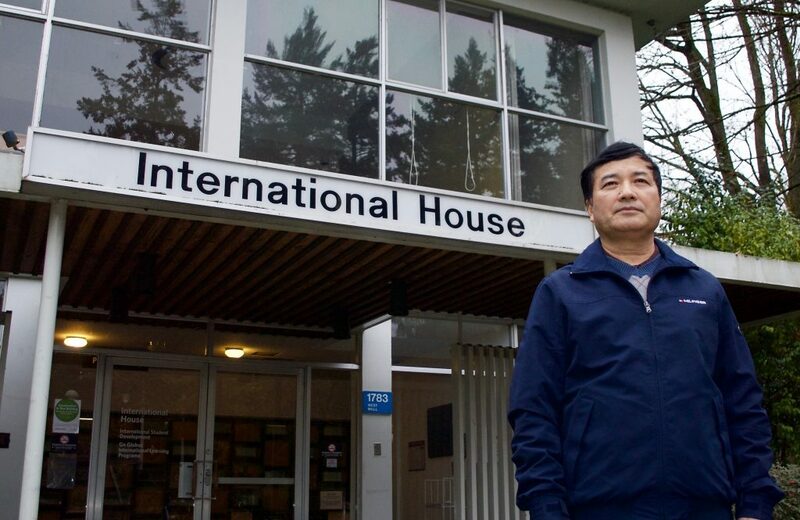 David Chi, an immigration consultant with UBC’s International House, said the school has close ties with the U.S. consulate in Vancouver. The consulate set up voting booths on campus and hosts regular immigration workshops for students. In the early morning after the election, one UBC graduate program website drew about 30,000 hits, UBC president Santa Ono tweeted. “I anticipate there might be more [American] students applying for Canadian institutions,” Chi noted. For now, Wakefield takes comfort in having leapfrogged the scrambling queue of Americans. “I’m feeling pretty damn prescient,” he laughed.